Brand NameCAREVEL MEDICAL SYSTEMS PVT. LTD. 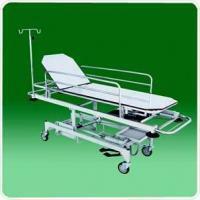 Serving our clients with flawless products, we bring forth an impeccable range of Hospital Stretchers. These folding stretchers are an ultimate combat rescue stretchers primarily aimed at the patrol medic. 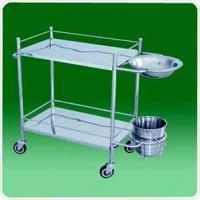 Designed using best quality material and latest machines, these can withstand and carry heavy patients with ease. 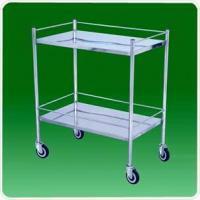 These stretchers are checked strictly in accordance with the various quality parameters. 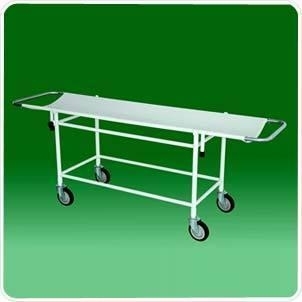 Clients can avail these Hospital Stretchers from us in different standard specifications to meet their diverse requirements. 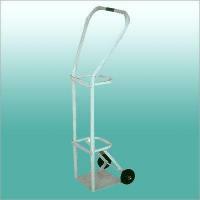 Emergency recovery medical trolley made of high quality materials, components and accessories. 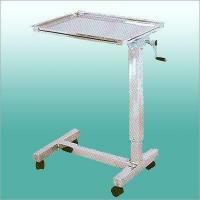 Removable x-ray permeable stretcher top provided with x-ray cassette holder for the entire length underneath the stretcher. 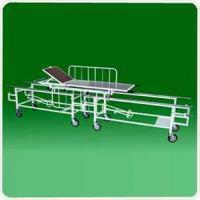 Emergency recovery trolley with two section stretcher top with head section adjustable on ratchet. 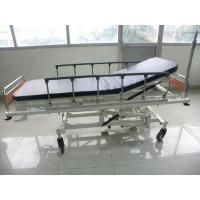 Provided with SS railing and SS telescopic IV rod. 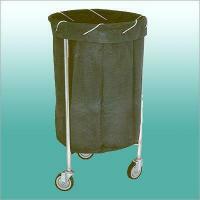 Optional central locking and directional locking castors. Standard dimension: bed frame 2100 mm L x 650 mm W x 650-950 mm H (approx). Note: Optional features, specification and accessories available as per the specific requirement of prospective buyers. Carevel Medical Systems Private Limited ventured in the business of exporting, manufacturing, supplying, importing and trading in the year 2000. Use of upgraded machines and finest raw material enables us to manufacture high quality Hospital Equipment and Medical Equipment like Patient's Movement-Transporting Trolleys, OT-Ward Hospital Trolleys and Electric ICU Beds. 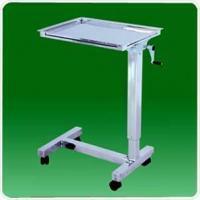 Manufactured in compliance with the international standards, these can be custom tailored as per clients demands. Besides, low maintenance, sturdy designs, long service life, user friendly operation etc are some attributes that are highly appreciated in our products.